DarkeJournal.com: The Morse Family Gospel Singers are returning to Darke County for two great concerts on November 5, 2017. The Morse Family Gospel Singers are returning to Darke County for two great concerts on November 5, 2017. The morning concert will be at the Greenville First Assembly of God at 10:30 AM, located at 7217 St. Rt. 118 North, Greenville, OH. The evening concert will be at the Pitsburg Church of the Brethren at 6:00 PM, located at 8376 Pitsburg-Laura Rd, Arcanum, OH. Jonathan & Heidi Morse have each seen the Lord's hand move powerfully in their lives. Having been through trying times and seeing how the Lord has taken them through them allows them to identify with those who are hurting and are thirsting for the Lord's touch in their lives. The kids take part in the ministry as well. Carlie sings and plays her violin. Hope is learning violin and Holly just started mandolin lessons. They are singing more and more and Gabriel isn't afraid to get on the microphone either (well, most of the time!!) Gideon was born in January 2013 and has been exposed to Southern Gospel music early as he crawled around on the floor while we practice! Now he sings along at home and one of these days will make it on the stage. Baby 8 is on the way as well so we have another member up and coming. Jonathan has traveled with Gospel Quartets for years and is thrilled to be serving the Lord with his family. He is also the youth pastor of his church. Heidi leads a youth praise, drama and singing group called Ablaze. When not raising the seven children she is also involved with leading the youth group and counseling those in need. Also joining the family at concerts is Jonathan's dad Bill. Bill has been playing the piano for over 50 years and is known by many in the area for his beautiful music. He plays along with the family while they sing in addition to piano solos. 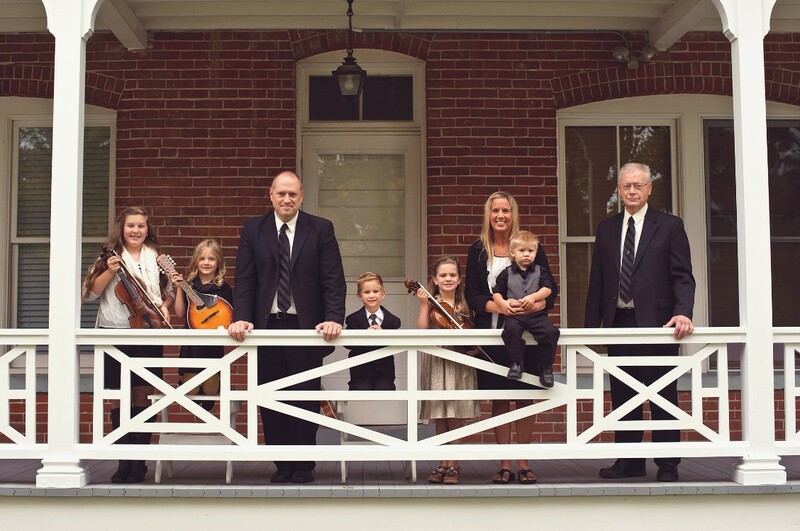 The public is invited to come and listen to this talented family’s gospel music at either or both services. Refreshments will be served following the evening concert.